It is 1917 and the Great war is a jagged scar across the face of Europe. Soldiers cower in mud-filled trenches, hurling bullets across the war-torn landscape. Above them flies 17-year-old New Zealander Bob Sunday, of the Royal Flying Corps. Before long, Bob finds himself flying against the great German air aces, including the infamous Red Baron, as their warplanes whirl above the battlefields of Arras, Passchendaele and Cambrai. Over the years, I have read many children’s and young adult war war books but none have focused on war from a pilot’s point of view. It is illuminating to see how World War 1 played out in the skies above the battlefields, from the eyes of pilot Bob Sunday. There were so many things I didn’t really know about. I was surprised by the debate over parachutes which becomes part of Bob’s many conversations. The descriptions of the different planes and the people involved provides a well-researched account of the events at the time. It is great how we get to see the impact of war from pilots from different sides of the war. Enemies at times, showing a sense of respect for each other as they battle for the skies. Bob Sunday arrived fresh from New Zealand with revenge in his heart but over the year you can see his growing maturity and change of ideals. Author Brian Falkner tells it straight but I did find myself smiling a few times over clever and witty dialogue. We know from our history books that war was brutal and a tragic waste but through Bob Sunday’s eyes we see it first-hand. Bob is a believable and likable protagonist facing up to his fears and living in incredible times. I think this would make a great read for a novel study for older students or a book club choice. Do make use of the teacher notes here. This is the fourth title in the Kiwis at War series with a final book to be published in 1918. Each book looks at a different year of the First World War. There is so much to love with this picture book about waiting for a friend. Bear sits waiting and waiting. Even when it snows, bear sits waiting on the bench for his friend Goliath. Other animal friends come and go and much discussion is had about whether Goliath will ever turn up. Bear is of course patient, optimistic and faithful to his friend Goliath. When Goliath eventually does turn up, young children will laugh out loud. I did. The illustrations are superb. Created as dioramas and then photographed, the pictures have a depth of field that will fascinate young readers and put them right in the middle of the story. Just gorgeous. Published this May so do watch out for it. He’s old and fat with ears as thin as pancakes. His walk is a kind of waddle and he’s always pleased to see me. This delightful book really is for everyone. We all know an old dog that goes so slowly. “Step, pause. Step, pause. Step, pause.” The kind of old dog you want to just pick up and carry home. Well Mouse is one of those old dogs and even though the girl in the story doesn’t own Mouse she does love him to bits. Whenever she asks, she is always allowed to take him on walks. Very slow walks where other people always overtake them. And when she hands him back to his owner, she thinks “I wish Mouse was mine”. The story is funny and sweet but it is also real. And we know that come tomorrow she will be back to take Mouse for another long, slow walk. The illustrations have a naive, child-like quality to them which is lovely and fresh. In 1916 two brothers planted two trees on their farm. They then headed far away to France to fight in the Great War. The ANZAC Tree tells the story of a century of Australian generations who went to war, and the story of those who were left behind. Beautifully illustrated, this new picture book, based on a real family, starts with the planting of two trees by two brothers on the farm just before they depart to fight in the First World War. The story moves through the generations and different wars. The sepia tones and old photographs at the beginning of the book create an historical look at the time when war broke out. The illustrations take on a brighter feel as we move through the generations and changing times. I love how generations of children introduce themselves in a journal format with photos and handwritten notes. They each tell their stories and how the different wars have impacted on them and their families, descendants of the two brothers at the beginning of the story. Though times have changed, two things remain. Firstly, and sadly, war continues in many parts of the world. Secondly but wonderfully, the ANZAC tree still stands, proud and symbolic. 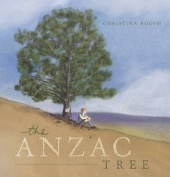 Christina Booth has provided us with a great book to not just read about wars but to show the impact on families and those left behind. Great book to use in class and open up discussion on many levels. Poor Prince Pierre and Princess Emma face a major muddlesome dilemma. What do you give your mother the Queen… when she has absolutely everything? It’s Mother’s Day and Pierre and Emma are stuck for ideas on what gift to give their mother, especially as she is the Queen and has everything she could possibly want. They search the markets, the beach, everywhere. They come up with all sorts of ideas, including smoked sardines. Will they ever find a gift for mum? Juliette MacIver brings her trade-mark rhymes to her story about the young brother and sister as they struggle to think of a special gift. I love how the bright illustrations have a real feel of the Pacific to them with the beaches, bush and birds. I love the pink flower in Emma’s hair and the way she scrunches up her nose at the smoked sardines. And another delightful picture book to celebrate mums. Meerkat Mum leads the way. 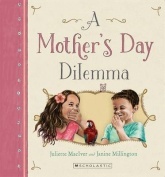 What a delightful picture book with a strong message all about a mother’s love for her children. Always watching, always checking for her children’s safety, mother meerkat stays constantly alert for any danger her young family may face. The meerkat mum takes her family out in the search for food but protects them from snakes and wild weather. Always, we can see how much she loves her children, even at night when they are sleeping, mum is watching out for her children. Quick, jaunty language totally suits the movements of meerkats in this story. Just like real meerkats, the ones in this picture book are inquisitive and quick. 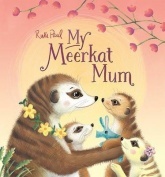 The burnt orange and yellow colours of the illustrations match their natural environment and the meerkats definitely have the cute factor making this an ideal book to share with younger readers. Fun, imaginative and just the way childhood play should be. This talented partnership of writers and illustrator have again brought us another fun-filled humorous picture book. Young Henry begins the day by wishing he had an elephant and then takes us with him as he considers the awesome time they would have together. We journey through time and space and meet wonderful characters such as the “four-eyed, two-horned, big-tusked Grumblepuff”. Having an elephant by your side leads to all sorts of adventures which will in turn spark young reader’s own imaginations. Everyone needs the friendship and support of a best friend and here in this truly imaginative story, elephant is this young boy’s best friend, or at least he would be if he only had an elephant. IF I had an elephant. This is just adorable. A lovely story of friendship and the idea that no matter what our differences are, we can all be friends. Wonderful concept that we all need to remember. I love this trailer. Just gorgeous and cute and has that warm fuzzy feeling. Will be ordering this ASAP. 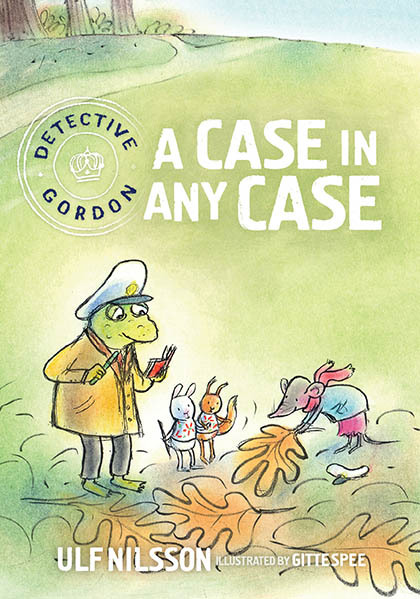 A case in any case is the third book in the Detective Gordon series about a police Toad and his assistant Buffy. However, each book works very well as a stand-alone. Buffy is in charge of the police station when she hears noises and decides to investigate. However, her investigations need a little help from Detective Gordon who is currently away. I love the relationship between these two loveable characters. They need each other and their friendship is strong and caring. Despite sometimes fumbling over what is right in front of them they do solve their mysterious cases. The humour is subtle but so funny. Love it. Gorgeous illustrations in soft colours provide a very natural setting for the story. I do love how expressive the eyes are in the pictures and bringing out the characters personalities. Great series for those newly independent readers on their first chapter books but equally great as a read-aloud.